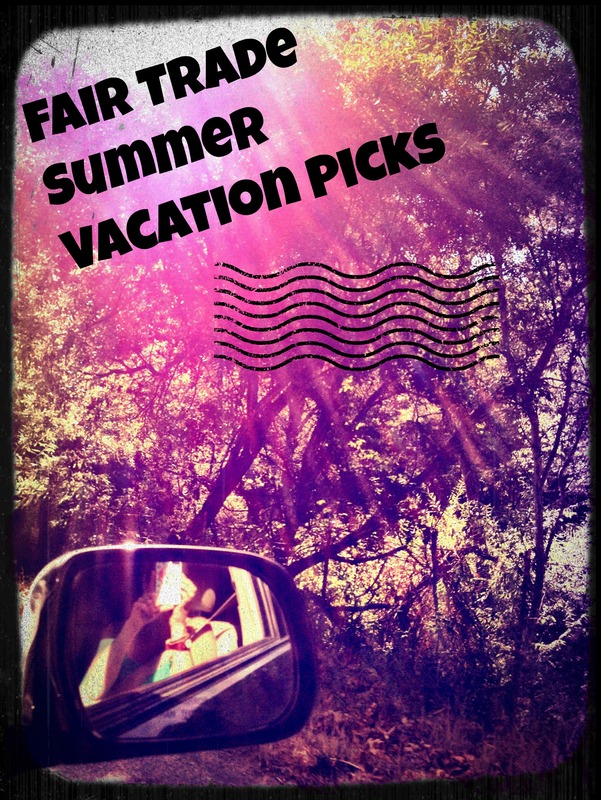 Summer Vacation, Fair Trade Style! | All That's Fair. 1. Marbella Dress: This breezy, summery dress is perfect for daytime exploring and transitions beautifully for a night out. Made in India, this slip-on style has adjustable ties at the neck, an elastic waistband with a detachable fabric tie and front pockets! 2. Soft Gray Tagua Chip Earrings: Handmade in Ecuador from tagua nuts found in South American rainforests, these neutral, sophisticated earrings will go with a variety of outfits for multiple occasions. Tagua nuts are popular for use in accessories as they resemble ivory in texture, but do not harm animals. 3. Cotton Travel Wallet: Hand-crafted in Cambodia, this wallet is lined with multiple credit card/ID pockets, and the middle pocket zips closed to store all that loose change. Designed to “carry a cause,” the wallet’s profits support the fight against human trafficking. 4. Coral Pink and Key Scarf: This cheery, lightweight scarf is the perfect addition to your carry-on bag as well as an eye-catching accessory. I love to cover up with scarves on planes and in airports that are just a little too chilly! 5. Batik Passport Holders: The social enterprise in Malaysia where these beautiful passport holders are made empowers women and impacts the community through hand-dyed textiles. In addition to providing training and fair wages for women, an additional 20% of the profits from these goods go to charities in Malaysia. 6. Spinnaker Mint Pants: These super comfy, chic pants feature a flat front waistband in the front and a gathered elastic waistband in the back with a side slit. The side slit allows the pants to flow in the wind as you walk. Plus—added bonus, if you are at the beach, the slit makes it easy to tie up the pants on the bottom! Are you going anywhere this summer for vacation? 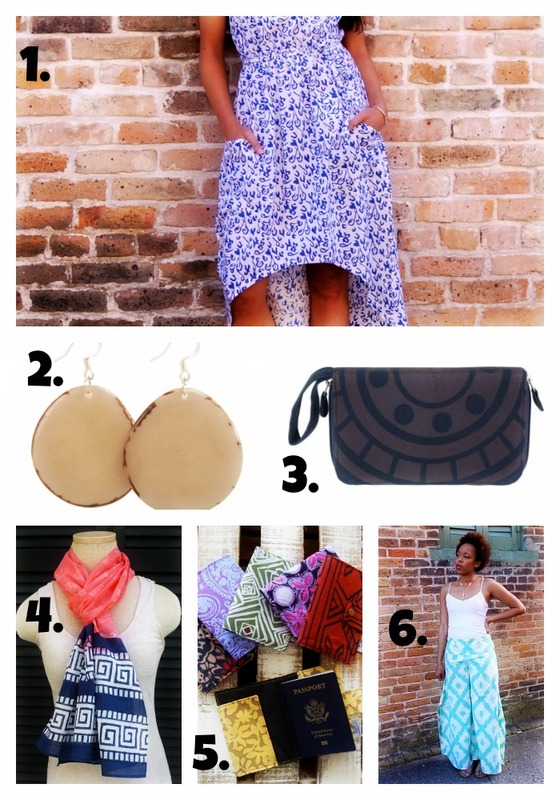 Will any fair trade items make their way into your suitcase? Would love to hear in the comments below! This entry was posted in General on June 20, 2015 by Casey Trogden.